Folks, we may have a winner for "Dullest Blog Series Ever." 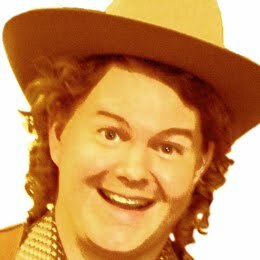 (Okay, the cowboy joke was pretty good.) At this rate, next week's posts will be an exciting play-by-play of me cleaning up the icons on my desktop, the grand finale will be me emptying my computer's trash. Snooze. Anyway. 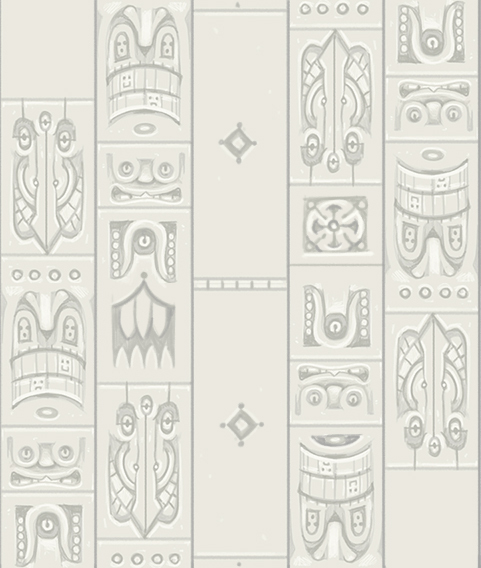 Here is the banner--part 1! That's right, I'm spreading the banner into a two-day post. What will pop up in that window? My guess is the word "STATION." Side note, does anyone remember how Bill and Ted (from the Excellent Adventure) used to say, "Station!" as a slang term? In place of, say, "Radical!" or, "Righteous!" It never stuck--I think it only existed in that movie (or maybe it was the sequel.) Station! Say it, it's fun. The most popular gnome seems to be young Scintellshine. She has a Hermione/Rapunzel thing going for her--so studious! Scintellshine will return in some form or other. Keep an eye out for her. Okay, I think I've got my background finally figured out. 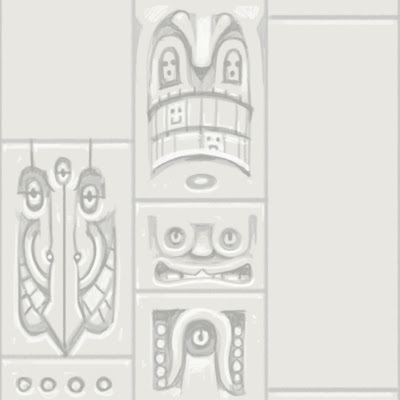 I made it brickier and the carvings less recognizable. I'll keep it for now. Tomorrow, the banner! 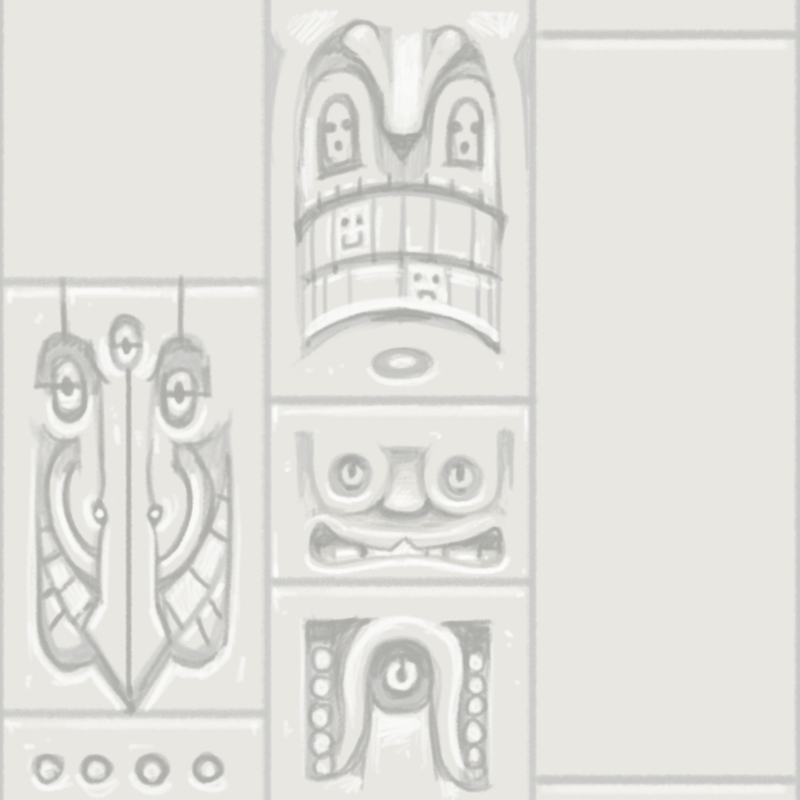 On second thought, the white totems are kind of boring. This is WAAAAY better. 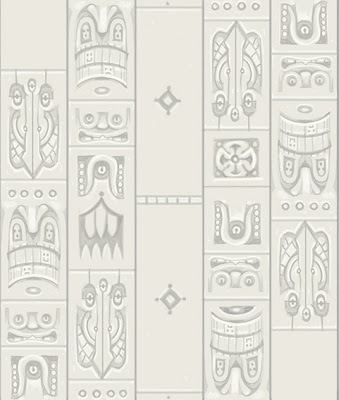 Hmm, I like the white block background, but I think the larger patterns were distracting. Here is a variation with smaller bricks and a few new shapes. I warmed it up with a tiny it of yellow too. I don't want the background to compete with the day's actual post. I want the background to be the background. This may still be distracting. 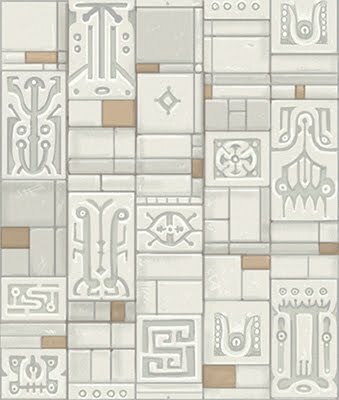 It's fun to play with tiled artwork, though. By the way, for those of you following the deadline drama, I had to ask for more time. I'm now 4 for 4 on graphic novels missing their original deadline. I had to ask for two more weeks, putting me back up to 30+ days. One day I'll finish a graphic novel on time. One day. Hey everybody. I'm starting a new thing today, but not a story--I'm renovating the site! If you follow this blog in a reader, you won't see what I'm talking about. So make the long trek over to the actual site. ...also not quite finished. Usually, when someone redoes their site, they just do it all at once-WHAM!-new site. But I think it would be fun to build the site in an analog manner, where you see the drawings of the banner and background, etc. progress as I work on them. Feel free to throw out suggestions for this theme. And don't forget to vote yer Gnome. Gnatalia and Gnikolai from Melissa. 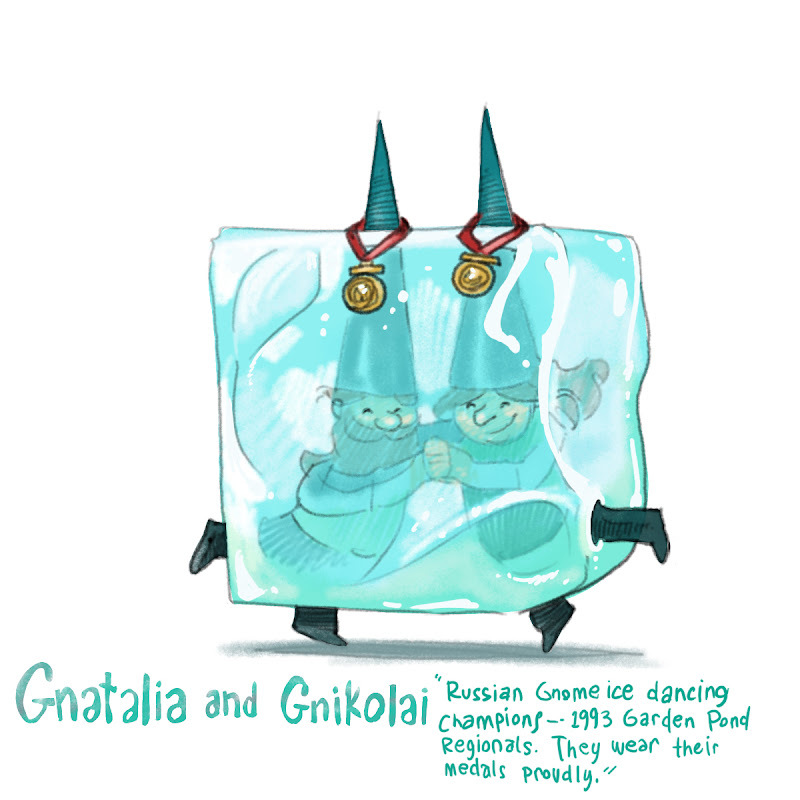 Gnome ice dancing is different than human ice dancing. Woops! Today's gnomes are a no-show. And with only two gnomes to go... I'll get to them tomorrow. So, instead of going to bed earlier in order to wake up earlier, I've decided to push on through and go full night shift! I've done similar schedules before, but this is the first time both kids are in full-day school. I'm two days in and so far, it seems to be working like a charm. I work straight through the night, send the kids to school, then go to bed at 8am, sleeping until they get home from school in the afternoon. NIGHT SHIFT! Drastic measures to get this book done. Update: 22 days, just under 70 pages to go. 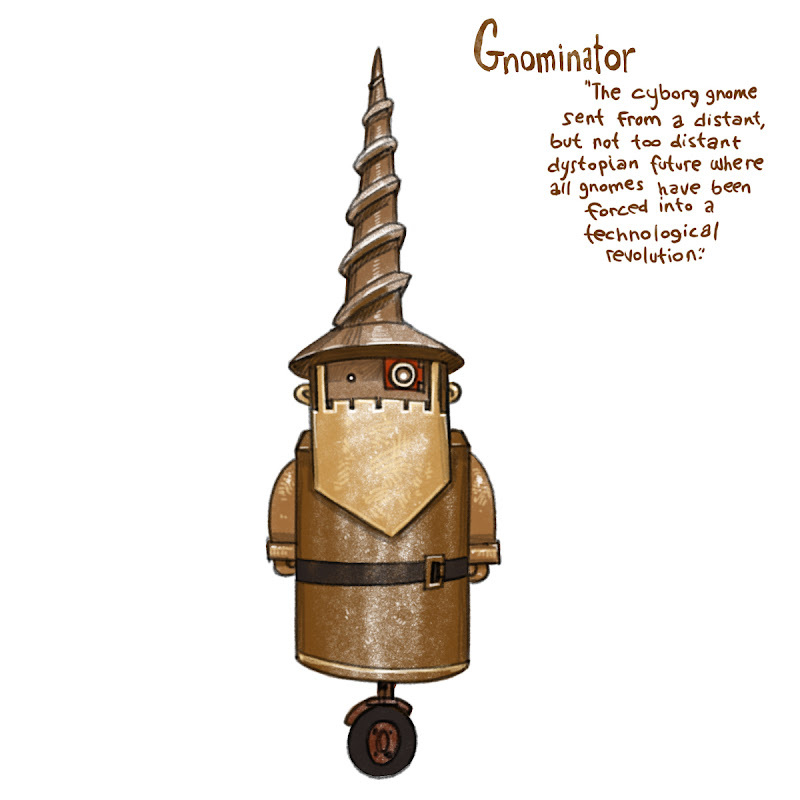 It's the GNOMINATOR! Brought to you by commenter M.B.C. The GNOMINATOR was meant to look like rusted metal, but looks more like cardboard, or maybe chocolate. 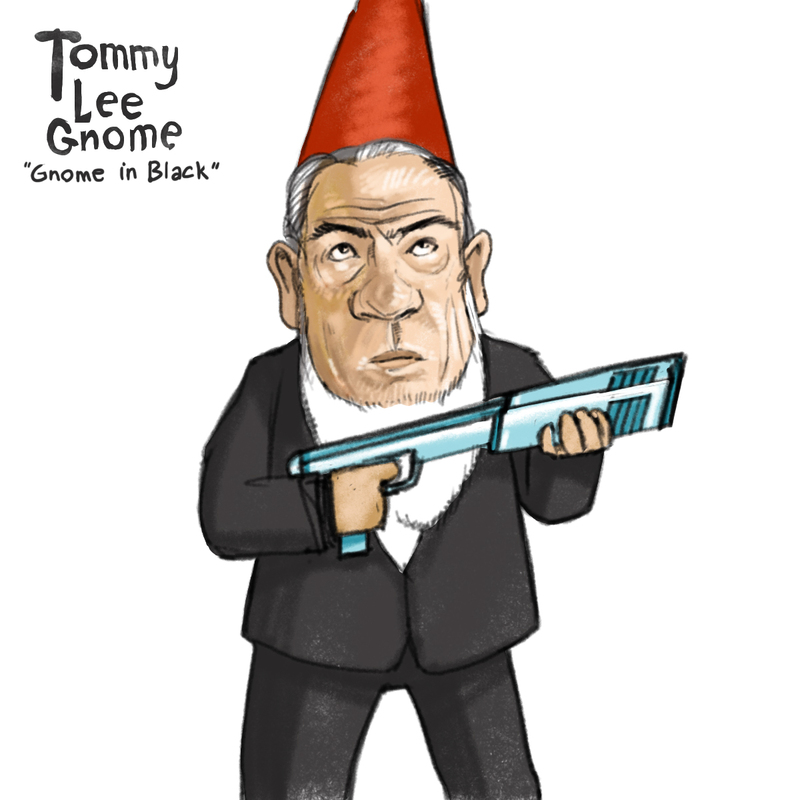 From Helene comes "Tommy Lee Gnome, the Gnome in Black." I also enjoyed him in "Gnome Country For Old Men." 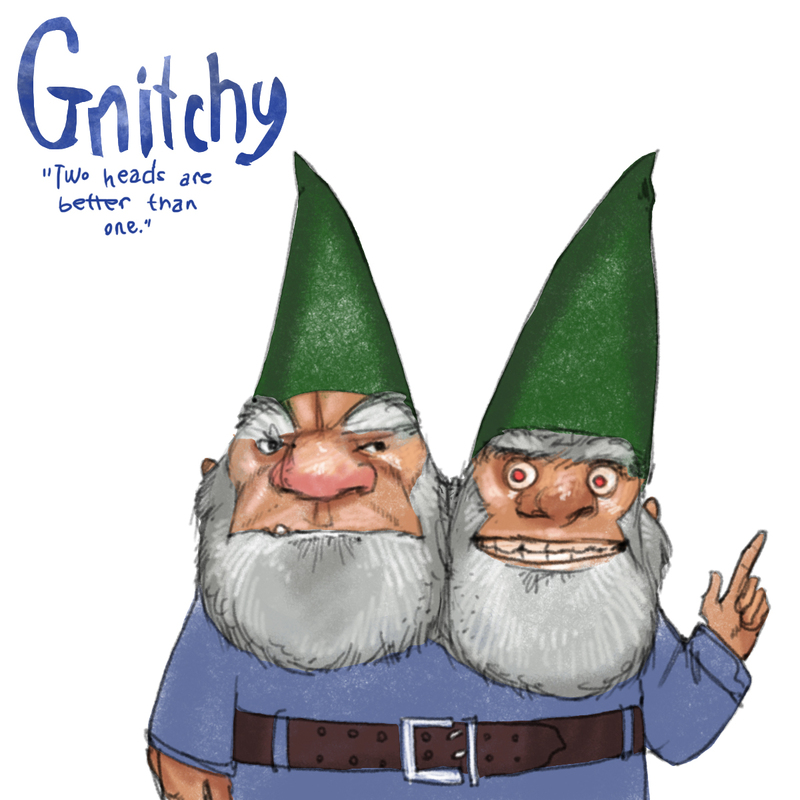 Hey everyone--I'm calling yesterday's Gnome a two-day gnome, what with the two heads and all. I'm running behind on my page count, so I'm bumping today's gnome. 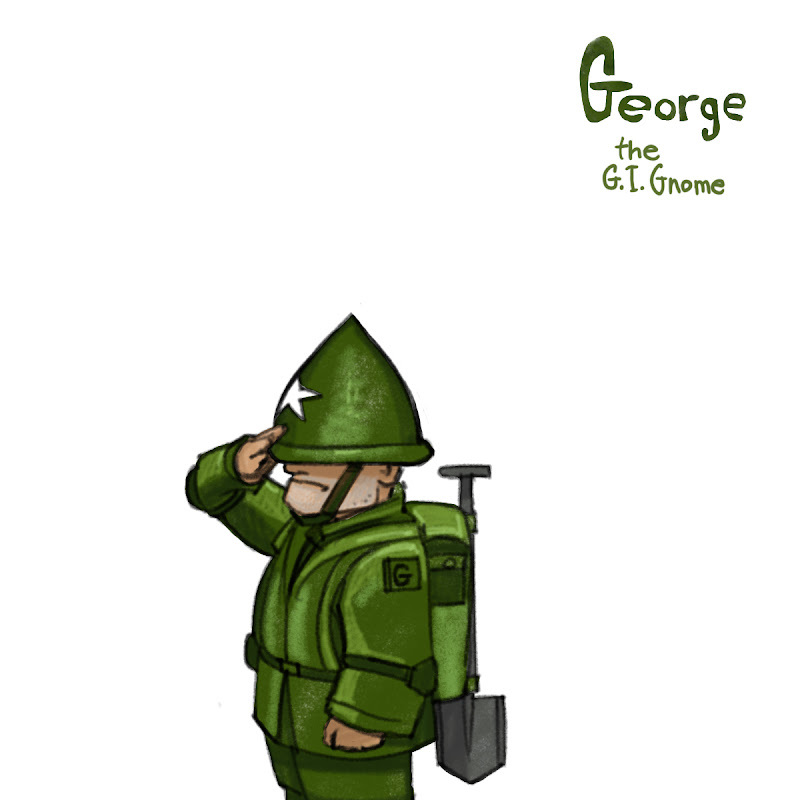 It's a gnome I'm very excited about too (George the G.I. gnome.) Be back tomorrow to see him. 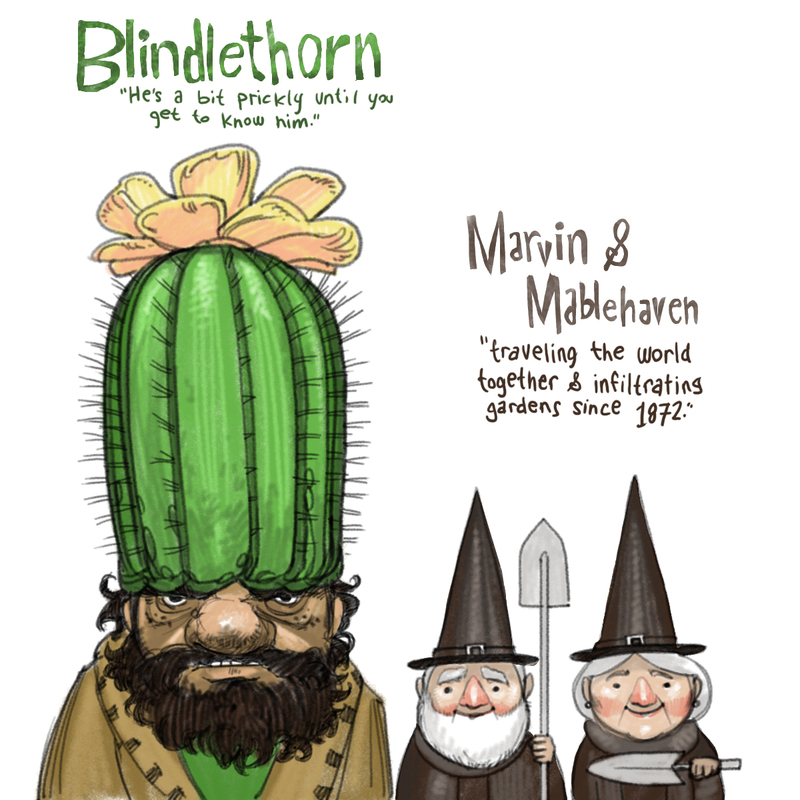 In the mean time, check out the illustration blog of yesterday's gnome-namer, John Deininger--very cool!. 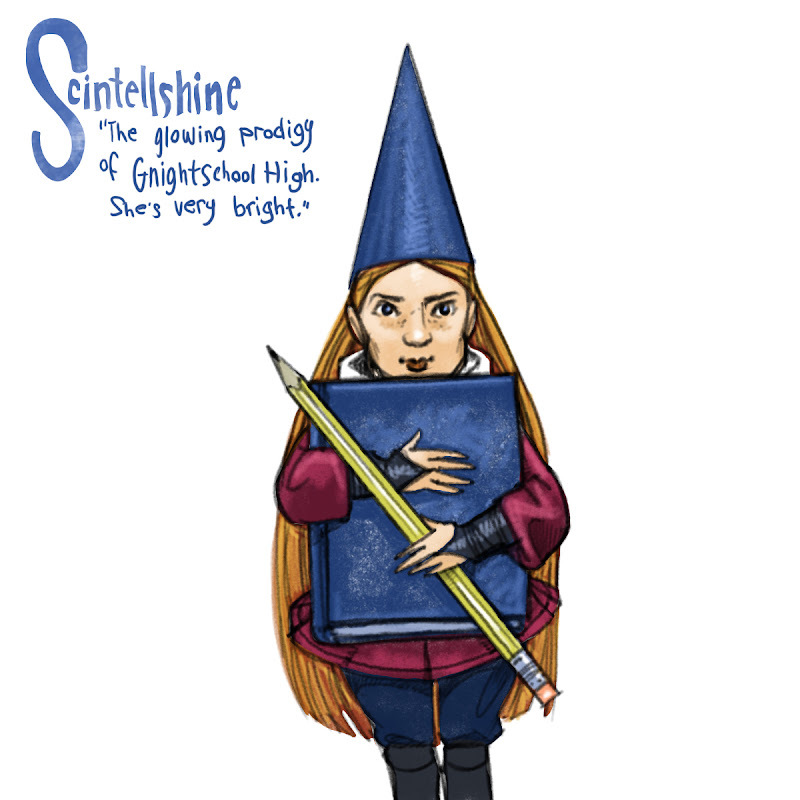 Today's gnome, "Scintellshine," is brought to you by Anika S.--she's a very fitting gnome for this time of year! I am now one month away from the last deadline in my three-book non-stop crunch-a-thon. Book 1 (48-page picture book) was finished in May. Book 2 (120 page graphic novel) was finished in July. And book 3 (another 120 page graphic novel) is due in 31 days. I've got 80 pages to go. 168 down, 80 to go. As soon as the gnomes are all finished, I think I'm going to focus on the page-count on the blog. We'll figure out some sort of day-by-day blog game to keep me motivated and on track. My stopwatch trick doesn't work anymore. I need a new mind-game, a new trick. I think if I can incorporate the blog, maybe that will give me a boost. We'll see. 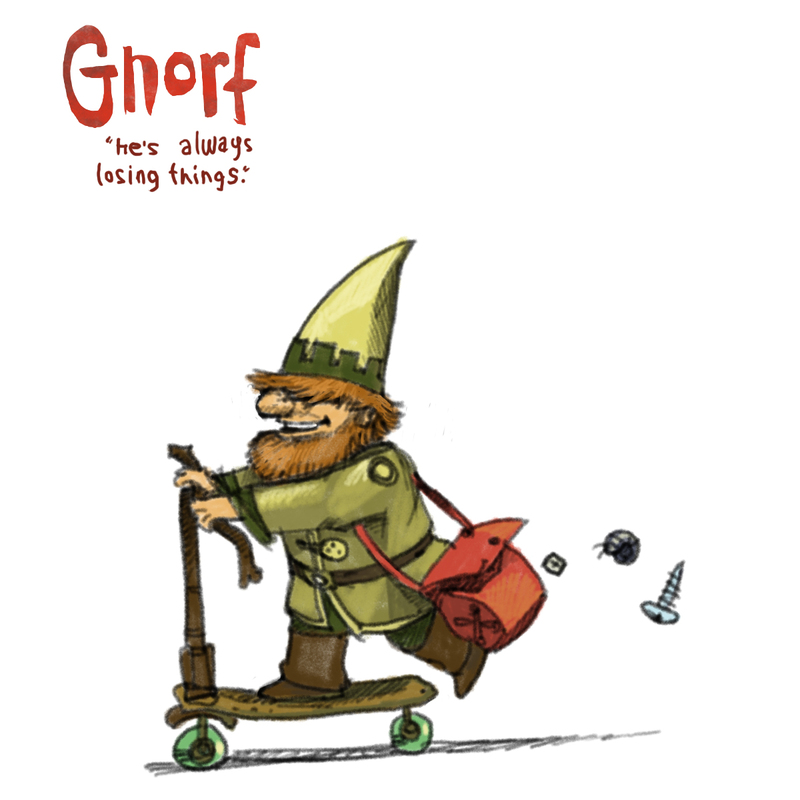 Here he is, Gnorf! "He's always losing things!" From Heather hoyt. He's got a scooter made of twigs. 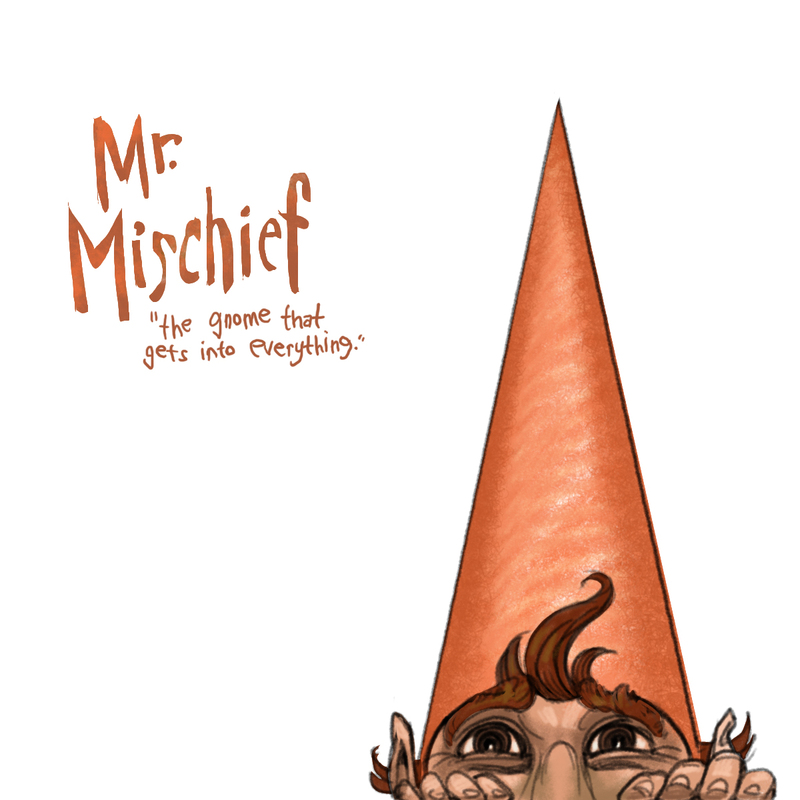 Gnome #16 is Jennifer's "Mr. Mischief, the gnome that gets into everything." It sounds like there was some interest in original artwork. It's not a project I'll be doing soon. But it is something I'd like to try at some point. I will keep you posted. Have a great weekend. The gnome summoning continues on Monday! 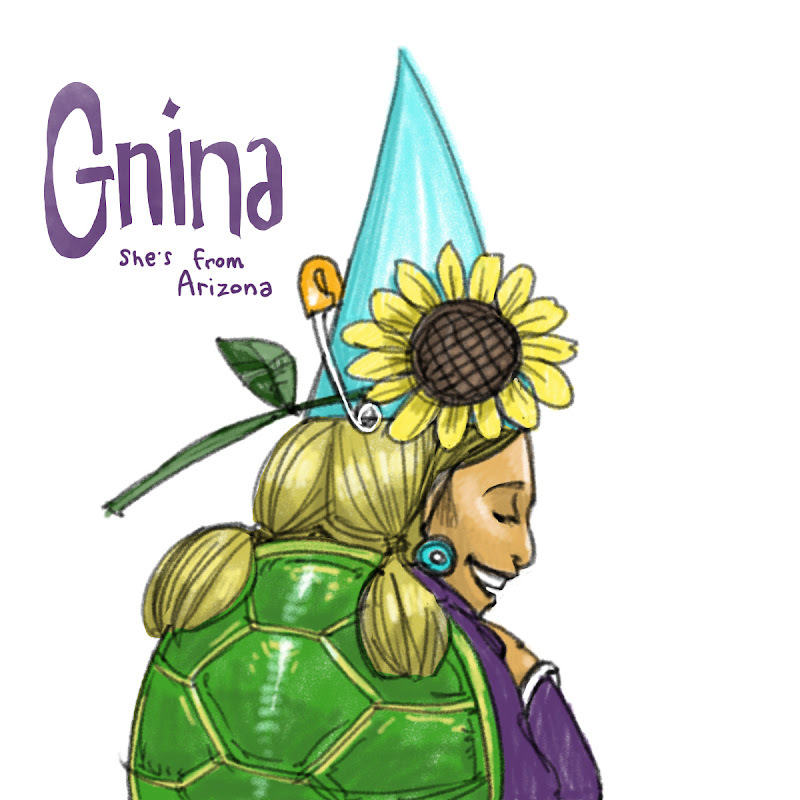 Here is Q's Arizonian gnome Gnina! So a fellow illustrator, Dan Santat, posted the coolest thing online yesterday. It was a mini site where he was selling some tiny sketchbook pages. See it here. I was lucky enough to buy one--they went quick. I love this idea. I'd like to do something similar someday. But before I put myself out there, I'd like to gage your interest. Please post in the comments section if you would be interested in something like this (original drawings/paintings for crazy cheap.) I think it could be a lot of fun. As an illustrator, I get to see my work in print, but I rarely (never) get to deal in original art. I couldn't decide between commenter Opaleyz's gnomes--so I did them all! What strange adventure brought this trio together? Great gnames Opaleyz! You all gnamed some great gnome gnames over the weekend. 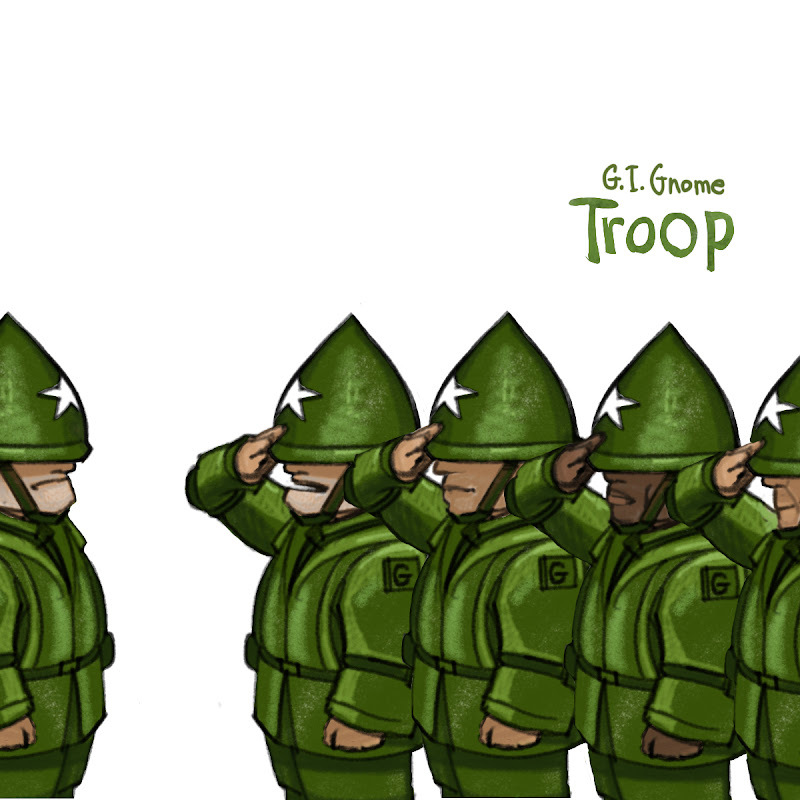 So many great gnames, in fact, that you have brought about the Gnome-pocalypse! GNOMAGEDDON! 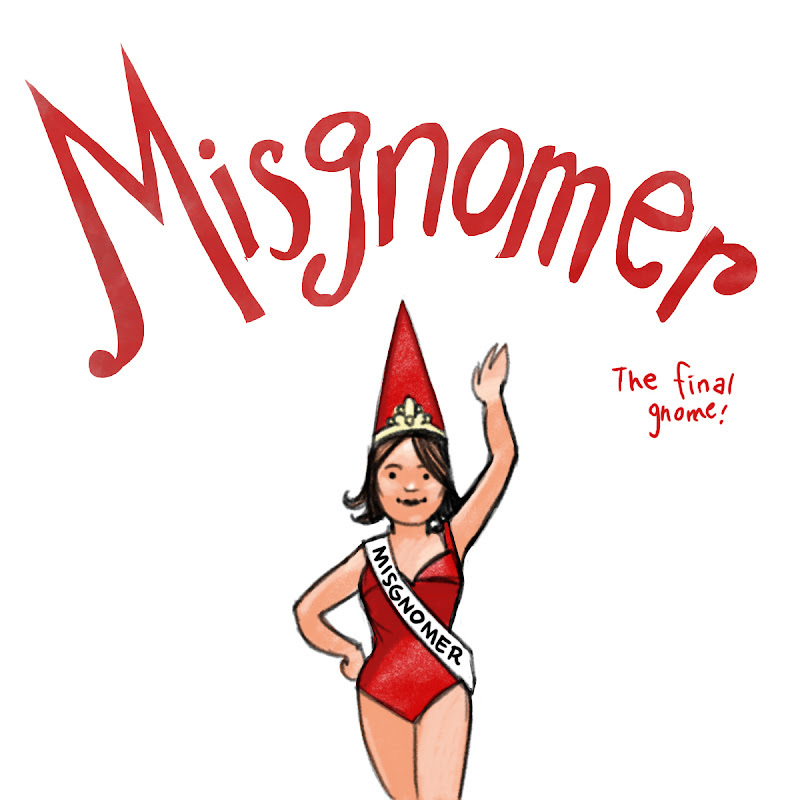 That's right, everyone who suggested a gnome name for the final gnome (gnome #13) will have their gnome drawn! There were twelve comments on the gnome #13 post, starting with Greg Newbold and ending with Nathan (who just made the cut-off by commenting at 12:31.) 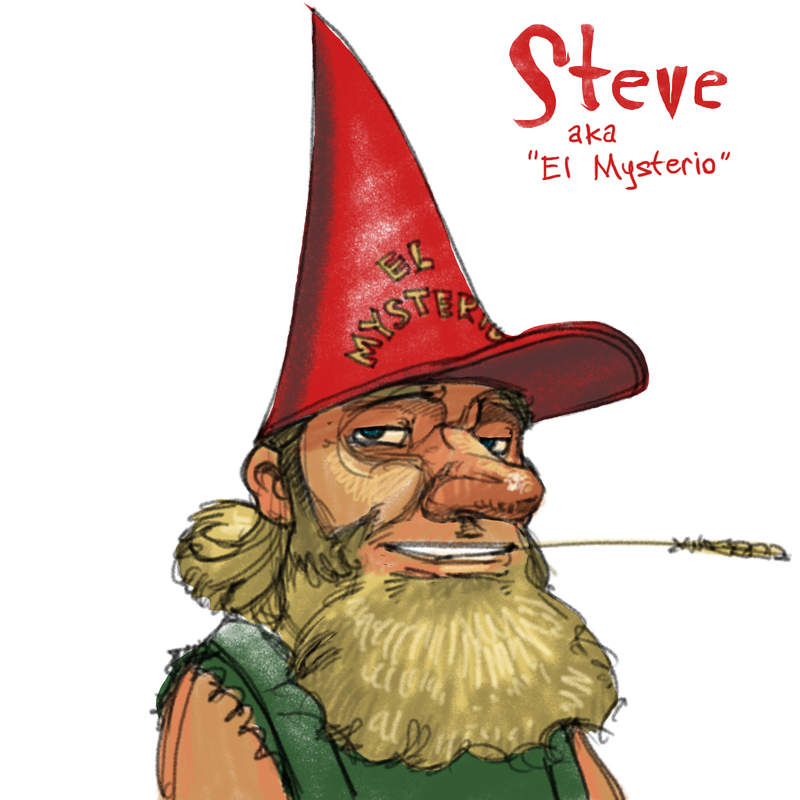 I'll start with Greg's gnome "Steve! aka El Mysterio" tomorrow and do one a day for the rest of them. That's twelve more gnomes! You're getting a gnome! And you're getting a gnome! And you're getting a gnome! Gnome #12, the Gnomaid, was named, "Aquafusia" by Sarah C. and Chris said, "She used to be a plumber, but is trying to make it in the music scene."